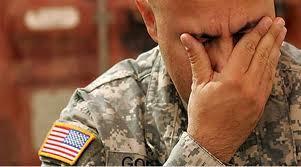 Veterans are at increased risk for suicide, both nationally and here on the First Coast. This week’s summit will not only focus on suicide prevention but also on how the community can better assist veterans coping with unemployment, emotional disorders and the challenges of returning to the battlefield to civilian life. "Many veterans are reluctant to seek help," says Ken Johnson, City of Jacksonville Senior Policy Advisor on Military Affairs. "We need to let them know help is available." The summit is set for this Thursday, April 11th, from 10am to 2pm on the UNF campus.